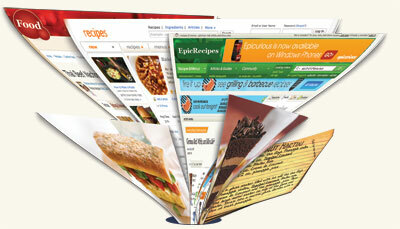 Use Cook'n's proprietary search engine to find the best recipes on the Internet. 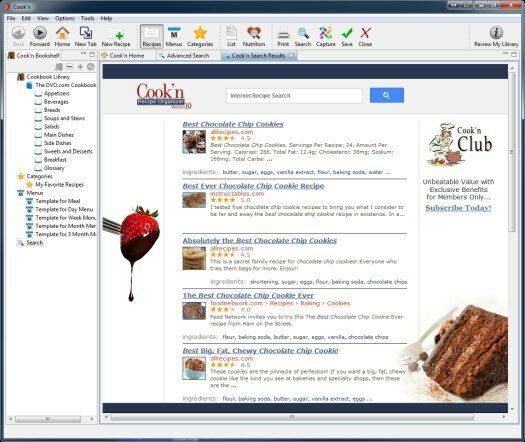 Do a simple keyword search from the homepage or use Cook'n's Advanced Search window to narrow your search results and find the perfect dish! Searching the internet for great recipes is fun...but what do you do when you find a good recipe? Most people print them and many people write them down but then you end up with a desk full of papers and no color ink left in your printer! To solve this problem, the big players in the recipe industry want you to create accounts on their websites. But then you have to ask yourself, "what website was I on when I found that really good crepe recipe? I have 15 accounts on 15 different websites and I can't remember where my favorite recipes are!" Cook'n Version 10 solves this problem once and for all! 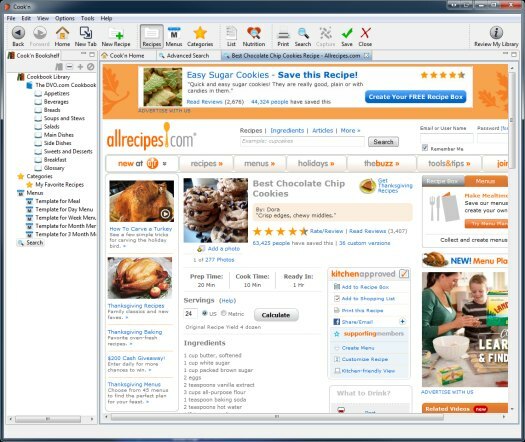 When you find a great recipe on the internet simply click Capture and Cook'n will instantly import the recipe into your Cook'n Library, allowing you to then scale, print, and e-mail the recipe. 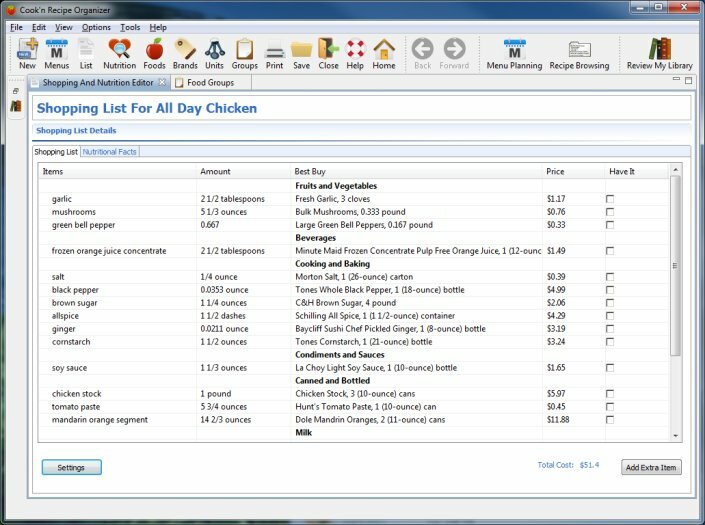 Add internet recipes to your menus and make grocery shopping lists! Or, sync them with your mobile device (iPhone, iPad, or Android) for easy access in the kitchen! 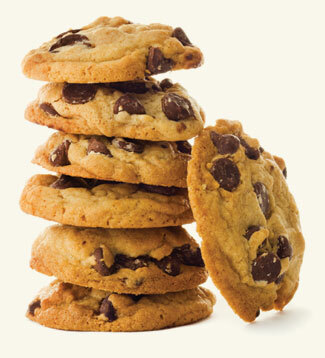 Cook'n puts internet recipes at your fingertips! The Cook'n Mobile Apps have been submitted to the Apple App Store and are waiting to be reviewed. 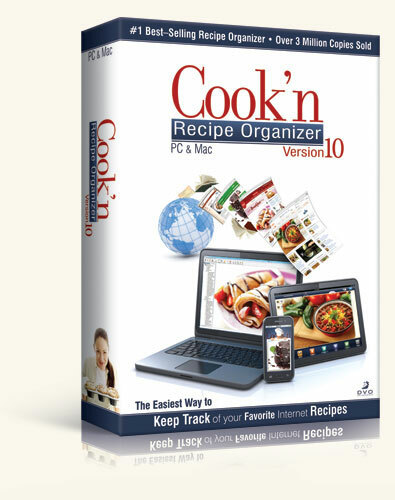 When they become available some time in the next 10 days, those of you who own Cook'n Version 10 can sync your recipes with your mobile devices for easy access in the kitchen and grocery store. 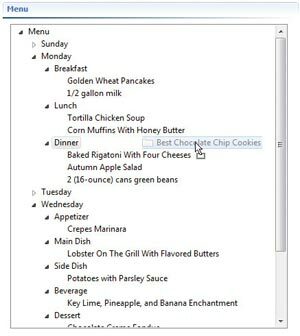 Backing up your recipes, synchronizing recipes between computers, and accessing your recipes from a remote location is easier than ever with the Cook'n Cloud service. When the mobile apps are released at the end of January, the Cook'n Cloud service will go live and those who own Cook'n Version 10 will be able to create accounts and synchronize with the Cook'n Cloud! 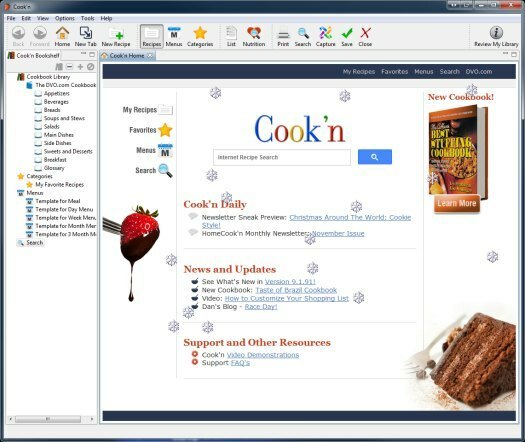 In addition to receiving brand new software loaded with tons of new features, those who upgraded to Cook'n 10 last year received one free update after another. In fact, after 6 months, the number of new features, improvements, and enhancements were so significant that we sent out an e-mail entitled "50 Cool New Features" documenting them. Similarly, those who upgrade to Cook'n 10 now can look forward to many new features and free updates to come. We made many improvements to all of the Cook'n themes and we added a new Page feature to display the text pages of those cookbook that contain both recipes AND text. 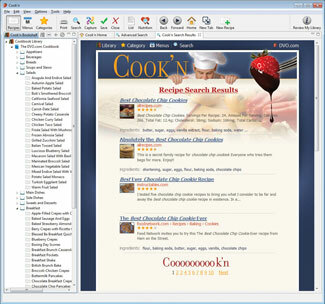 Since the file format for the Cook'n 10 recipe database has not changed, the upgrade process is simple and automatic! 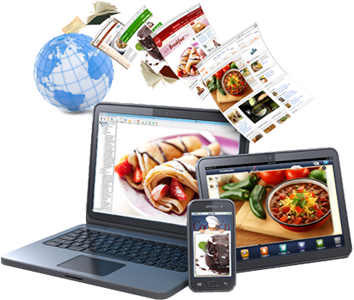 Think about it...have you ever seen software like Cook'n with an embedded browser and custom Search & Capture features that let you synchronize content with your mobile devices? There's nothing quite like Cook'n. And that's not all! In Cook'n Version 10, we included more Cowbell than ever! 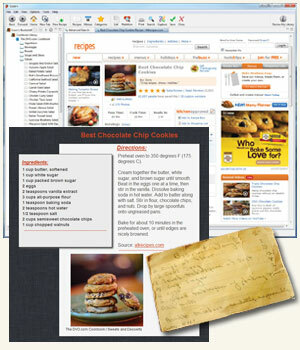 Sync with the Cook'n Cloud Access your recipes on your iPhone, iPad, Android, PC and Mac!